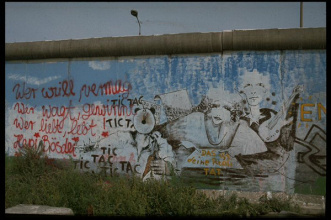 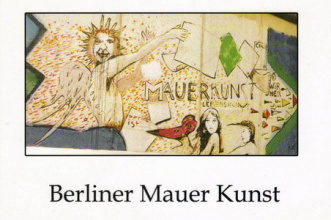 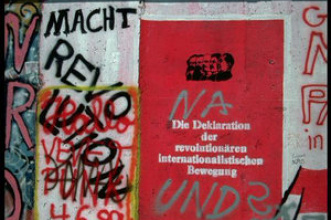 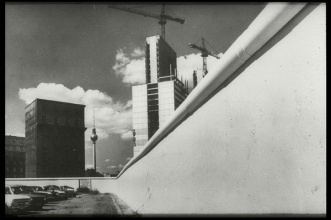 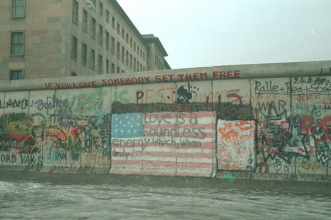 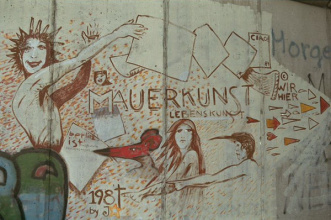 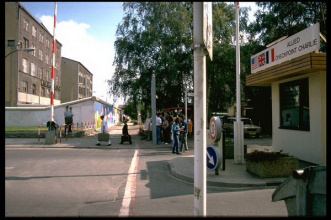 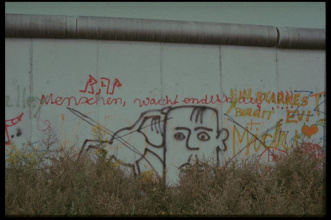 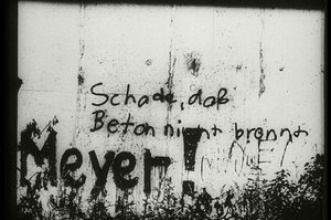 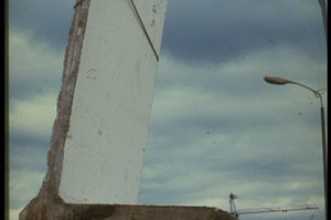 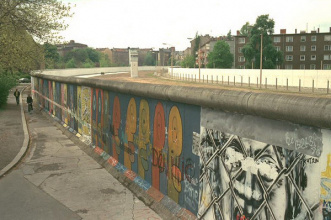 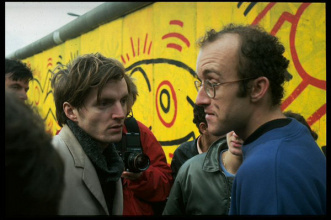 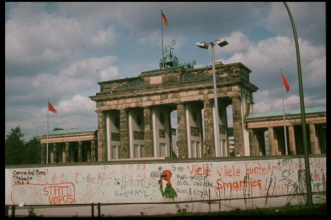 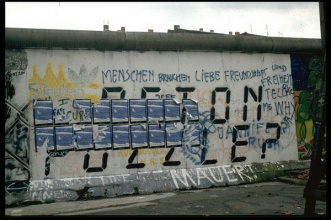 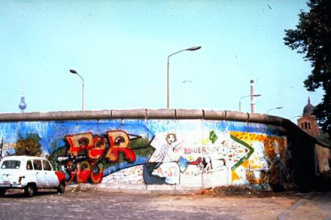 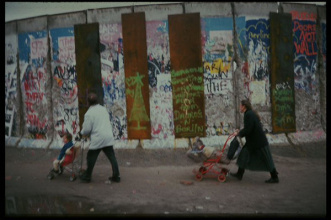 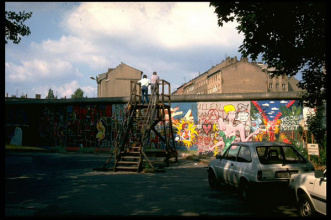 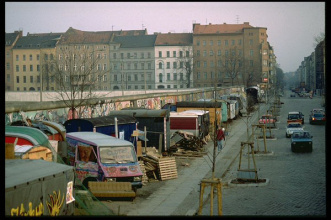 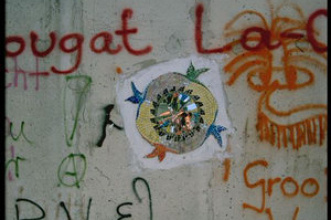 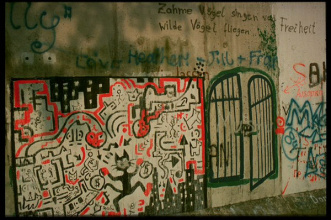 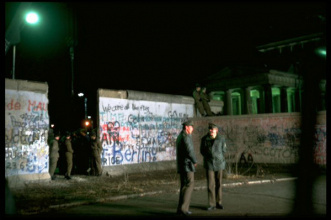 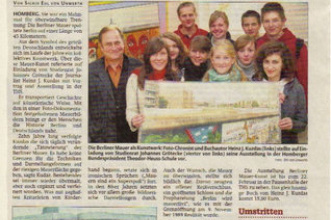 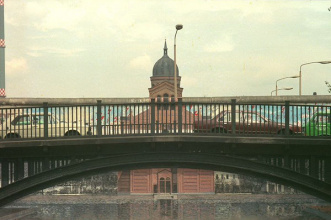 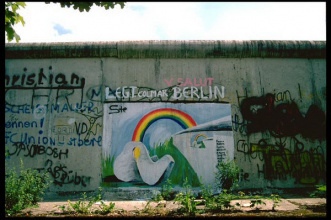 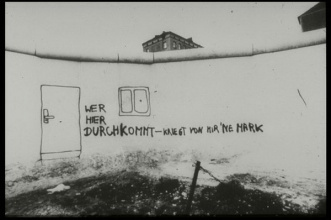 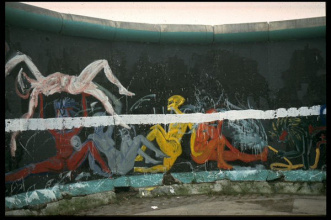 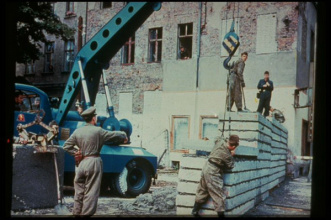 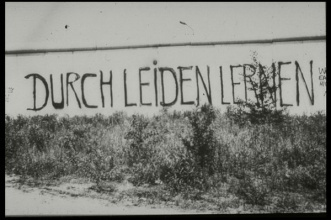 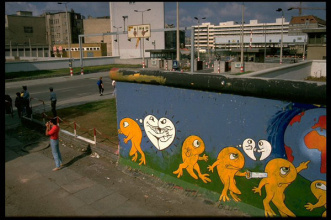 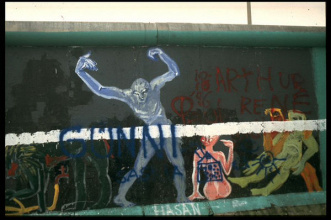 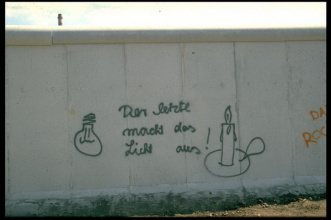 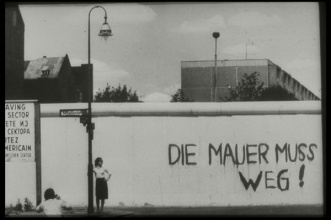 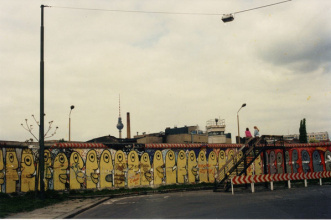 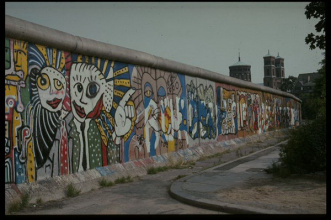 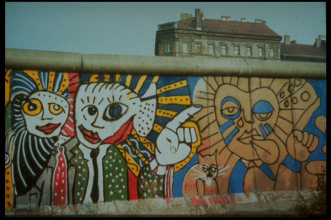 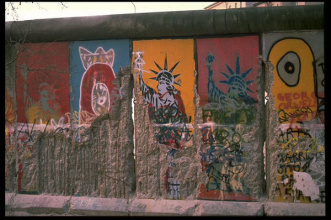 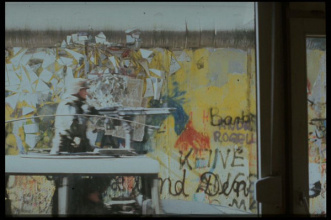 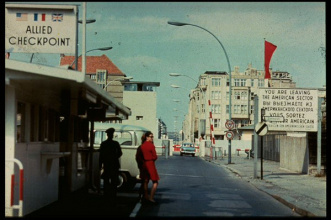 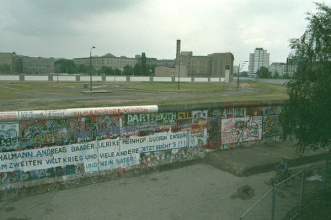 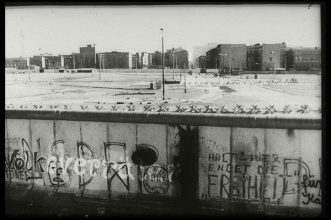 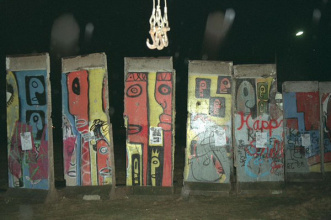 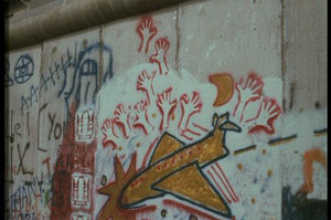 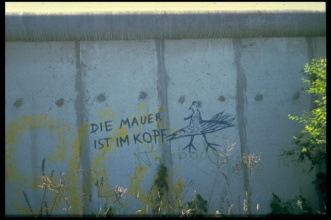 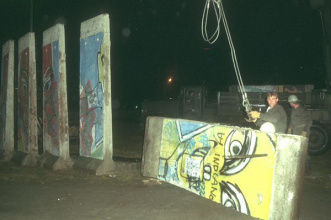 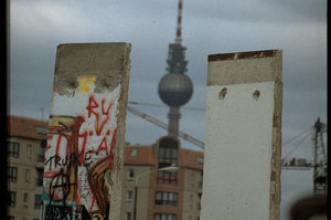 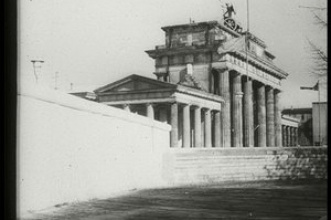 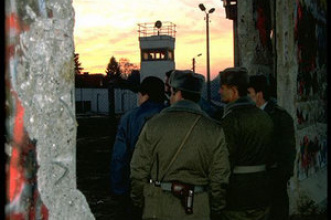 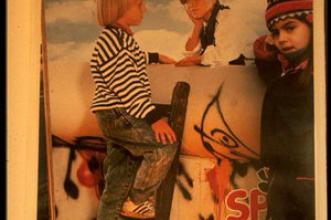 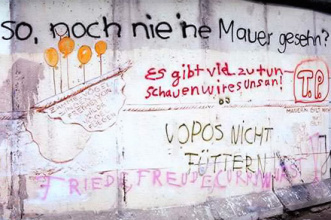 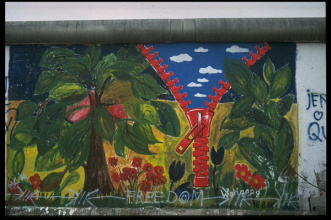 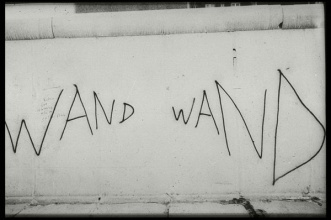 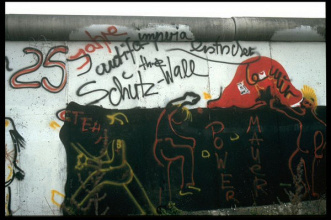 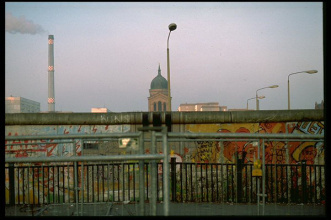 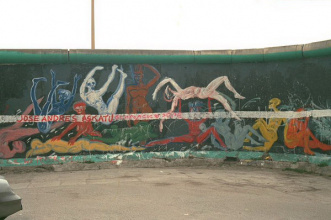 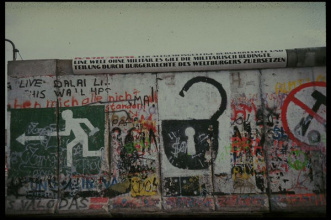 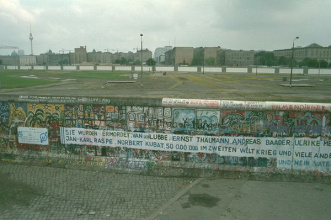 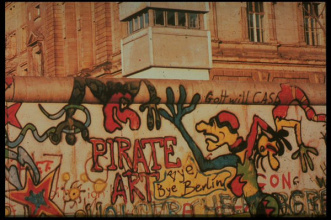 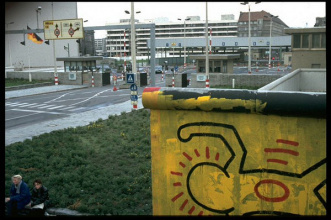 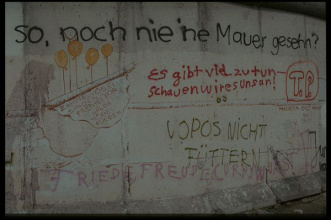 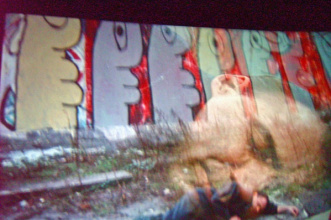 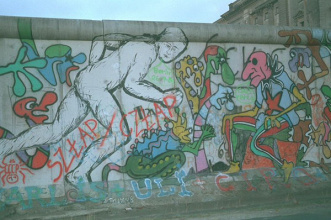 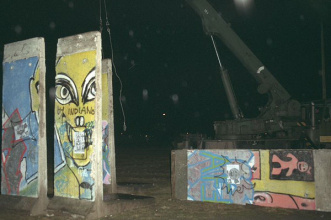 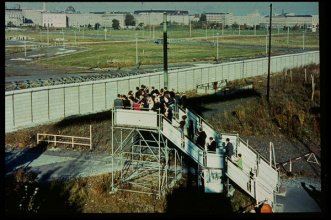 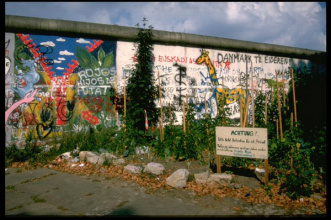 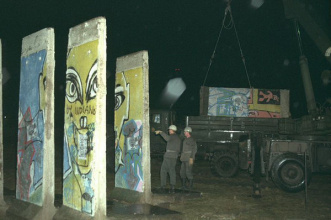 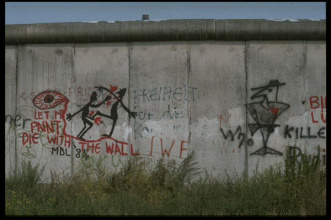 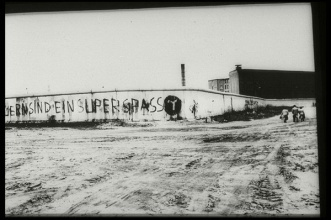 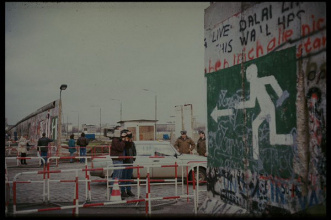 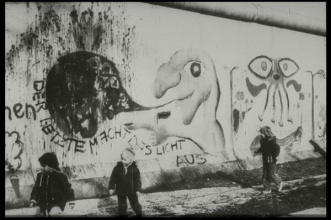 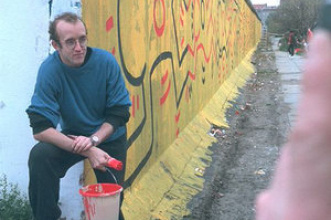 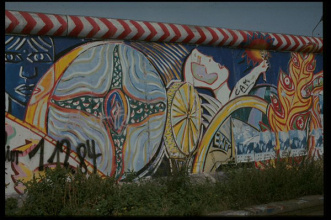 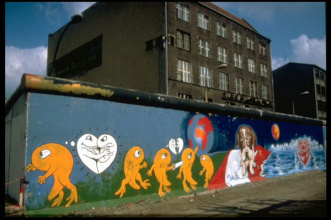 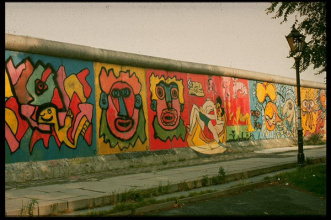 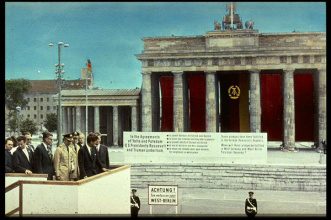 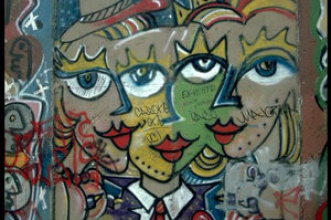 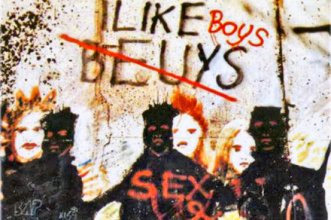 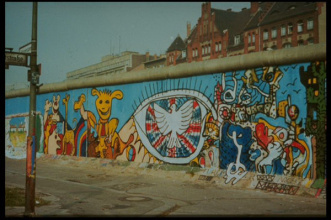 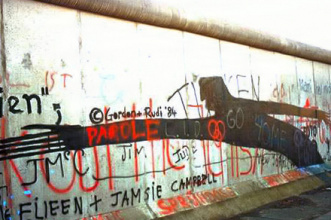 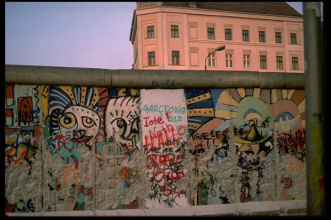 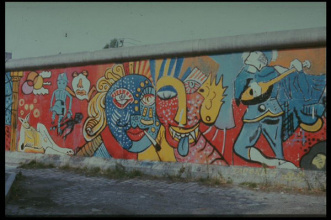 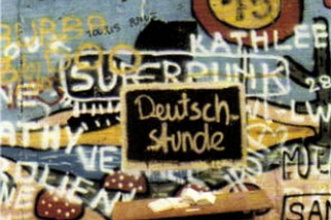 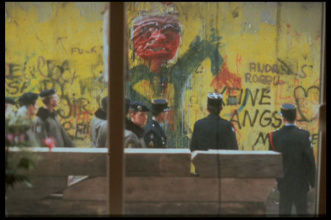 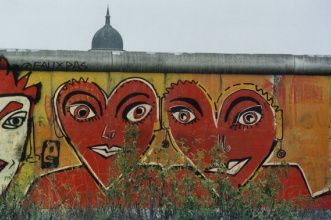 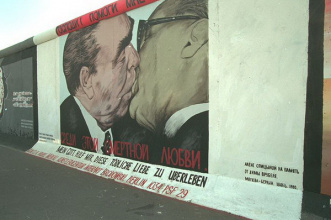 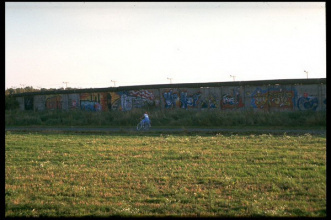 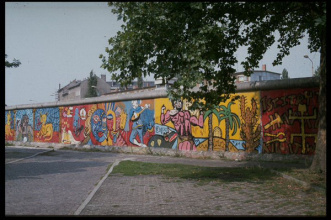 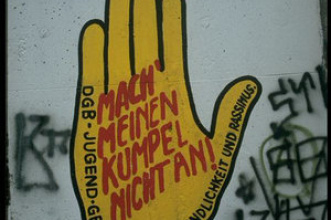 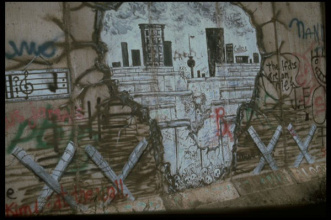 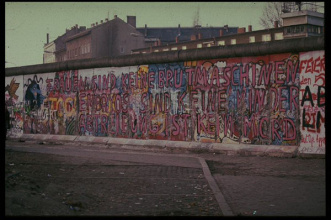 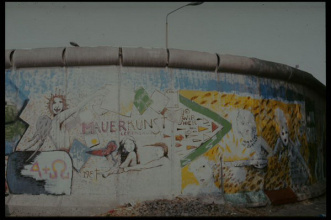 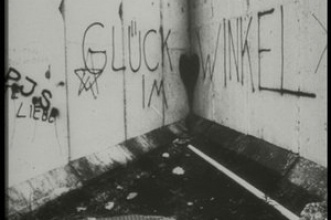 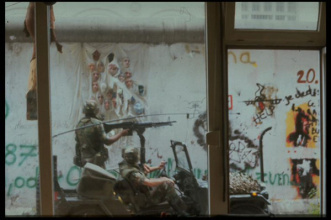 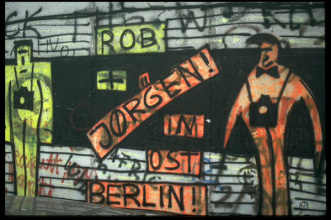 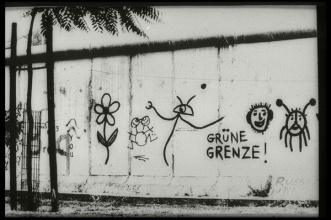 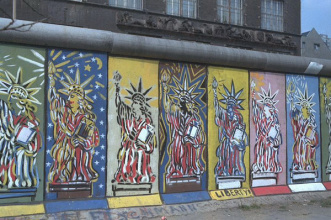 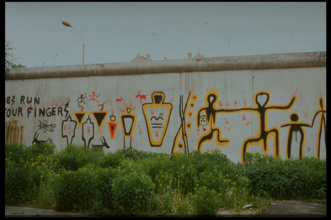 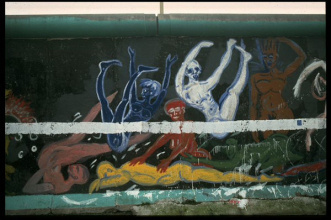 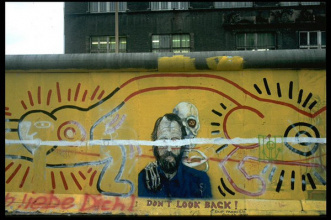 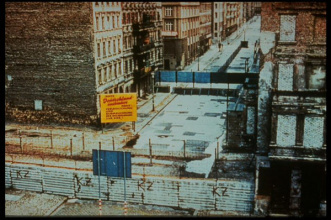 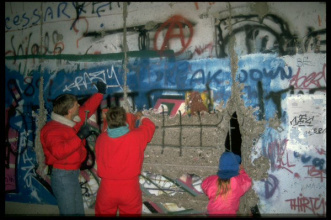 The Berlin Wall was also a unique collective artwork, which changed daily and often overnight – paint actions disappeared the next day by some bodies new work of art or was modified in new surprising ways. 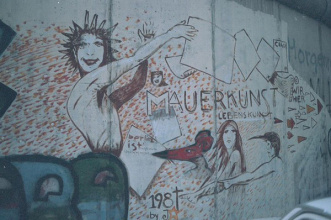 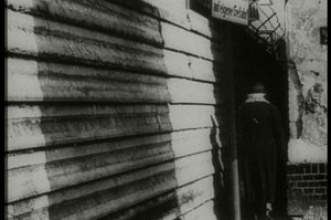 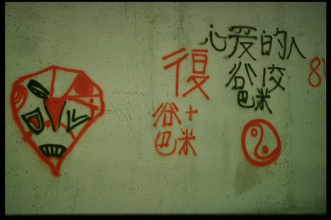 There was of course controversy – some people saw in painting the Wall only disgusting cosmetics, others similar to the historical wall-newspapers in China, a somehow index of »Zeitgeist« – mood index continuum – as one wrote on the Wall. 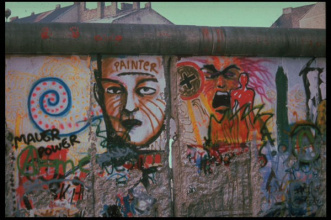 But here we observed colorful, new irony art, misusing and transforming a depressing horrible perfected inhuman and dangerous borderline and turning it into the longest canvas of art. 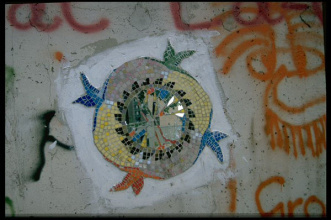 Something came into existence for what we owe recognition and gratefulness to the many known and unknown who participated. 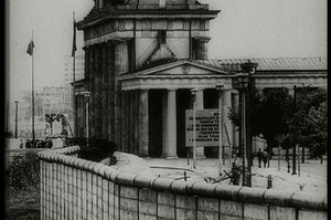 So far there was no such intention from the official public. 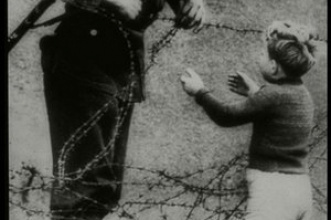 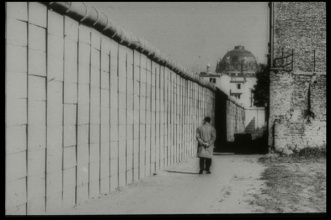 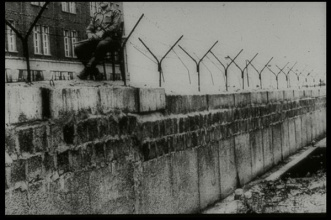 There are so many who only desire to keep alive the memory of the Wall of death and barbed wire.